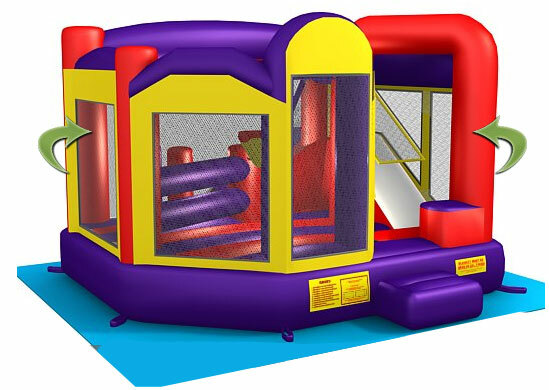 This bounce house has it all. 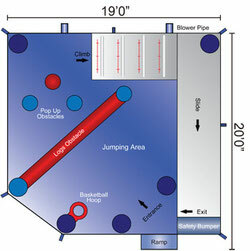 There is a large interior jumping area with a basketball hoop. There are both log and pop up obstacles. Also inside this unit is a large climbing feature with a slide. There is a clear view for all spectators. It is guaranteed to make any event a huge success.